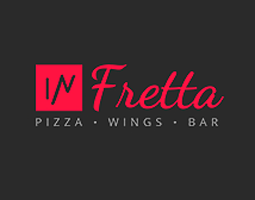 Online ordering menu for IN FRETTA (Plano, Tx). Welcome to In Fretta! Here we have the best Pizza & Wings in town! Our Pizza Sauce & Dough is made fresh everyday and our Meat & Veggies are the freshest produce in town. Try our Korean Twist, build your town pizza and life changing wings! Also has Kid's menu for your little ones! Find us here at the corner of Parkwood Blvd and Hwy 121, we are across the Tollway from the Stonebriar Centre and only 5 minutes drive from Legacy Shopping mall! Order online today available for pickup or delivery!